In search of a differential in their academic training, many students choose to undertake their degree abroad. This type of exchange offers the student, besides the opportunity to obtain an international qualification, the experience in a new country and new culture. Australia and New Zealand have become increasingly sought-after destinations for university international students. This is due to the high quality of their universities and also the excellent recognition of their programs by the international labor market. Australia has 43 universities, of which only 3 are non-governmental. 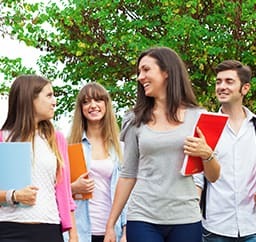 Australian universities receive around 650,000 students each year, with more than 100,000 international students of different nationalities from all over the world. Currently, almost half of Australian universities are ranked among the top 500 universities in the world (QS World University Rankings). 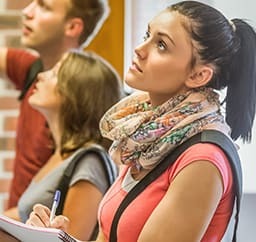 With an excellent international reputation and strong ties to research institutes and industries, Australian universities offer their students a wide range of programs in a wide range of fields - being modern and innovative courses using state-of-the-art technology, as well as support for researches. There are 8 public universities in New Zealand, all internationally recognized for their academic performance and research and ranked among the top 500 universities in the world (QS World University Rankings). All universities in New Zealand offer courses in a wide range of fields, each of which specializes in Medicine, Agriculture, Veterinary Science, Engineering, Law and Environmental Studies. Bachelor Degree: with a minimum duration of 3 years in full time, being able to reach 4 or 5 years according to the course. 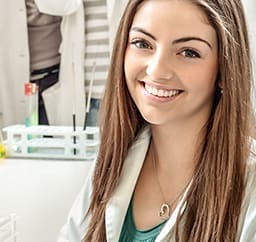 Bachelor with Honors: A student with good grades can be invited by the university to conduct an additional year of study, focused on the development of academic research. The academic calendars of universities in New Zealand and Australia are similar to Brazilian, with classes starting in February and July. Demonstrate fluent English through a language proficiency exam (IELTS or TOEFL). Due to curricular differences between the education system around the world and the New Zealand and Australian systems, students must have the year 12 complete hold a Foundation Program, or have a Technical Diploma in Recognized Australian or New Zealand institution, or specific entrance programs offered by universities. For courses that require specific skills (architecture, graphic design, fashion, music, etc. ), a portfolio may be required or some practical test in the area is required. 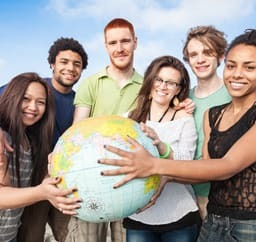 The Study Abroad program is designed for international students who are interested in taking only one semester or one year of graduation from a university in Australia or New Zealand. For more information on these programs, visit Study Abroad. In addition to undergraduate programs abroad, AC works with several other options for university courses, such as postgraduate and doctorate, as well as technical courses. AC also offers options for English courses for those who need to prepare for their undergraduate or graduate abroad, such as IELTS, Cambridge Prep and English for Academic Purposes.